Olympic College is a 2 year public college located in Bremerton, Washington, United States. The school offers rural and urban area students a wide variety of programs to study. Olympic College opened in September 5, 1946 with 575 students attending. Tuition was $35 per quarter when the school first opened. Olympic College serves Kitsap and Mason counties. The service area of the college contains two major naval installations referred to as Naval Base Kitsap and Naval Hospital Bremerton. Olympic College faculty promotes the development of students in a well rounded manner. The main developmental goals are in regards to Communication, Thinking, Information Literacy and Technology, Lifelong Learning, and Global Perspective. There are a wide variety of courses available to students while they are at Olympic College that provides a base of education that will prepare them for their future careers. General degrees include: Associate Degrees in Arts, General Studies, Science, and Technical Arts. There are also Program Specific Certificates including Accounting and Business Management. One may also take courses in the fields of Human Resources, Computer Information Systems, Cosmetology, Culinary Arts, Education and Nursing. Olympic College strives to make education obtainable. Tuition varies from course to course, but the school offers Student Tuition Easy Payment Program (STEPP). This service allows students to make their tuition payments in three installments. It is important to check if there are any additional costs in the course of choice like lab fees or books. There are a wide variety of financial aid programs available at Olympic College in order to help make higher education possible for those who may not be able to afford tuition on their own. The different types of financial aid include grants, scholarships, loans and alternate payment options. There are also various scholarships available for the students which can help make education less of a financial burden on students. 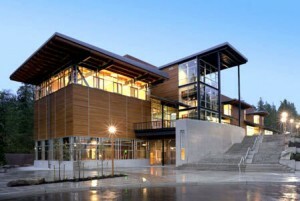 Olympic College’s core campus is located in Bremerton on 33 acres. 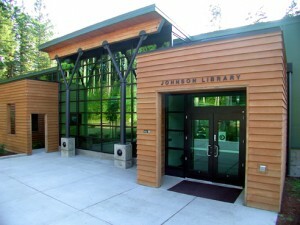 The school also has two satellite campuses are located in Poulsbo and Shelton. All three of these campuses are located in Washington. Collectively these campuses serve more than 12,000 students a year. The school has a large amount of amenities available to students on campus, including state-of-the-art computer labs, a fitness center, library and bookstore. Olympic College does not have residential housing, but helps students find suitable off-campus housing. Olympic College strives to provide a well-balanced environment for students with time for studies as well as time for leisure. Cogita, Aspira, Aude, Perade which translates to “Think, Aspire, Dare, Achieve” which is the motto that Olympic College students live by. There are many different clubs for students to partake in including vocal and instrumental music programs, the Olympic college recreational department, and the student newspaper, the Olympian. There is also the Olympic Career Center which helps students find suitable on-campus employment and career advice. For students who require extra assistance in their classes, there are also Tutorial Services and the Writing Center. Olympic College has a wide variety of sports teams for students to choose from and has been very successful in its sports history. The school has been competing since 1946 in intercollegiate athletics. The Athletic Department at Olympic College is dedicated to the academic and social growth of each student athlete. Olympic College offers ten intercollegiate sports including Volleyball, Soccer, Basketball, Track & Field, and more. Male athletes can partake in Soccer, Basketball, Baseball, Cross Country, Track & Field, and Golf. Olympic College is a member of the Northwest Athletic Association of Community Colleges. Olympic College has many notable athletes and people who have attended the school who reference it as a part of the reason they are successful. Harry Truman, the 33rd President of the United States, received an honorary degree at Olympia College in 1948.